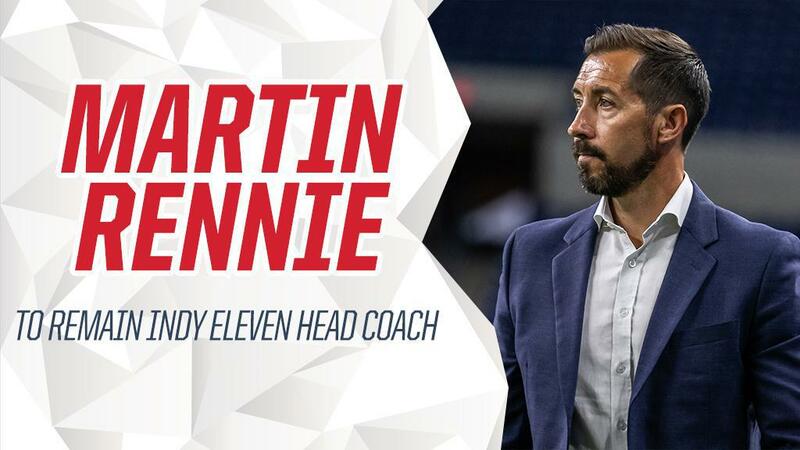 Indy Eleven Professional Soccer announced today that Martin Rennie will continue to lead as head coach for the 2019 season. Rennie, a United Soccer League and Major League Soccer veteran, joined Indy Eleven on January 16, 2018. The 43-year-old Scotsman led his side to a playoff berth in its inaugural USL season after having just over eight weeks to assemble a squad. Rennie’s 17-year coaching career has seen him lead in every professional level in the United States and a stint overseas in South Korea. Indy Eleven finished the 2018 regular season with 13W-11L-10D and 49 points. In that time, Rennie’s side broke the club’s away record with 5W-7L-5D and tied the all-time number of shutouts (11). Join Coach Rennie and the rest of Indiana’s Team next season by reserving your 2019 season tickets. Information on pricing, benefits, specials and more is available at IndyEleven.com/season-tickets or by calling (317)685-1100.